Join Turbonomic cloud expert Steve Haines, as he ushers you through the successful process he and team took at Disney to refactor and migrate a mission-critical Parks app to Amazon Web Services. What should you be doing today to set your organization up for cloud success? Ask Steve! Our webinar will conclude with an interactive Q&A session, and all registered attendees will receive one (1) entry to Turbonomic’s Green Circle Community AWS re:Invent Sweepstakes – your very own chance to attend the new marquee event in cloud and data center! 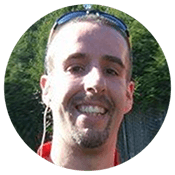 Steven Haines is a Principal Software Architect at Turbonomic. He recently joined Turbonomic after spending the better part of the past 8 years in the architecture team at Disney, working extensively on their migration to the cloud. 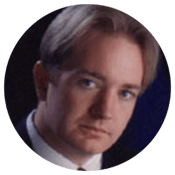 He has written two Java programming books, a performance analysis book, more than 500 articles, and more than a dozen white papers on performance, scalability, and cloud-based architectures. Turbonomic’s autonomic performance platform enables customers to manage cloud and enterprise virtualization environments to assure application performance while maximizing resource utilization. Headquartered in Boston, MA, Turbonomic provides the only technology capable of closing the loop in IT operations by automating the decision-making process to maintain a complex data center environment in a healthy state.